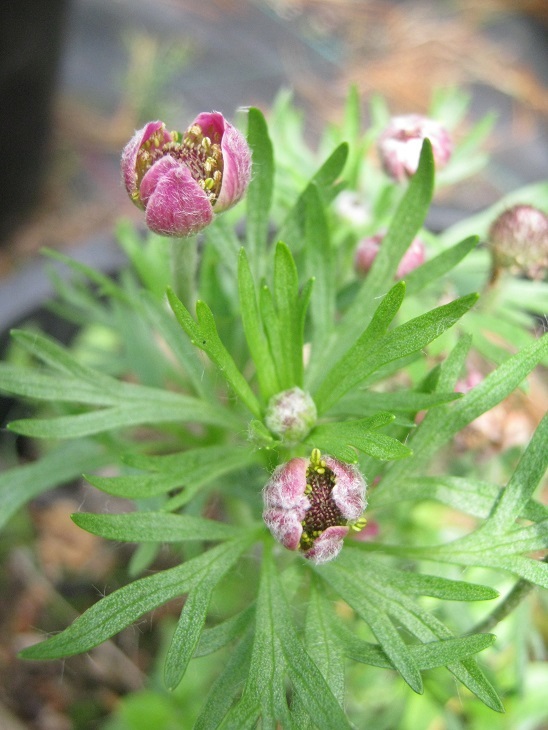 Anemone multifida comes from the western side of North America and for me it has always been a short lived perennial, easily raised from seed. I have not tried the red flowered selection before. It is producing plenty of flowers and that is generally a signal that it isn't going to make it through to next year. They flower, produce copious seed, and then fail to produce any new growth so a weakened rootstock struggles in the winter and the plant is never seen again.